As a parent mentally preps to reveal to their kids that they are Trans, the kids try to navigate through their own personal issues. Ok, let it be known I watched the original pilot first and then the new pilot available on Amazon.com, of which the only difference was the cast. Who, may I add, seemed better in the original than in the redo. That thought aside, the main thing which makes this show interesting is the Trans representation on the show. Outside of that, well you are presented with a lot of characters and stories you have seen before, and I wouldn’t say they are superbly done in such a way which makes you feel like they are anything but filler. 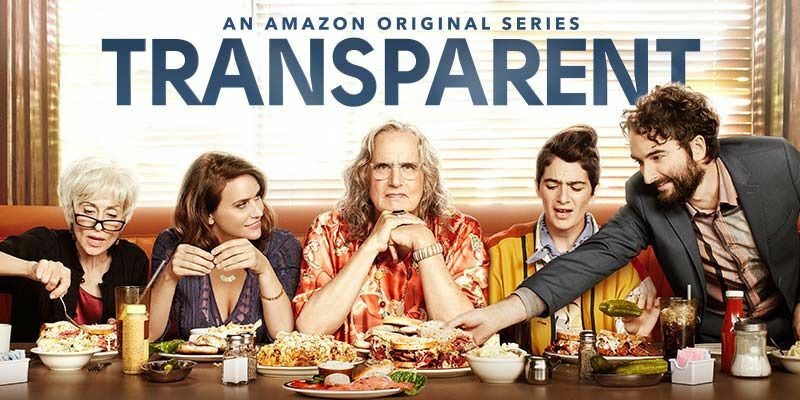 For more on the pilot of Transparent, look below. After nearly a lifetime living their life as a male, Maura (Jeffrey Tambor) decides to live her truth and pursue her own happiness. Thing is, outside of her Trans support group, no one really seems to know Maura identifies as Trans. I mean, her kids know her through the identity she built up and lived for most of her life, but this person she is comfortable being? Well, they are in the dark about her. But while Maura is going through her own issues, so are her kids. Ali (Gaby Hoffmann) seems to be your usual aimless kid who has been blessed with a parent who can financially support her; Sarah (Amy Landecker) is seemingly in a functional relationship, one in which she is taken care of, but between him not being much help with the kids, and the relationship being passionate-less, it seems her ex-girlfriend Tammy (Melora Hardin) may end up back in the picture; and then there is Josh (Jay Duplass). He is in the music industry, so it seems, and is currently sleeping with one of the girls in his latest projects he is trying to produce. Quite honestly, the only thing worth praising in the pilot was Tambor as Maura. Though, even with the praise comes a sort of catch. For while I liked the way he presented Maura, I do honestly have mixed feelings about him not being Trans himself. However, at the very least it seems he wants to give Trans people some form of representation and help foster the idea that, unlike how we often see gay men, Trans people do have various personalities, and sometimes they aren’t like Sophia in Orange is the New Black. Sometimes, instead, they are almost like Eeyore in Winnie the Pooh. First and foremost, I am not fond of Hardin’s take on Tammy and prefer the original actress whose name I can’t find since IMDB and Wikipedia no longer have her listed. Then, when it comes to Derek (Cleo Anthony) being re-casted from Henry Simmons, again I felt a bit disappointed for while it is nice they at least kept the character Black, Simmons had this military persona which fit the character perfectly. Also, physique wise, with Simmons having a build which reminds me of Dwayne Johnson, it seems like him being a personal trainer, to Ali’s character, would have been more interesting. Especially since she may have a thing for him. With that said, in terms of Anthony as Derek, I feel with this being one of the biggest roles he has had thus far in his career, he isn’t as natural as Simmons was. Much less, when it comes to presence, he doesn’t have that certain look which makes you want to take him seriously. Leading to us talking about the kids. For while the Maura character is interesting perhaps solely due to the lack of Trans characters in media, especially in starring roles, I find all the children to be dull as hell. Ali seems like the type of character you’ve seen countless of times who abuse the privileges they have in life, to the point they are only redeemed through some sort of insecurity, or issue with them not knowing what they want to be in life; Josh just doesn’t present any reason to care about his character, since neither he, his interactions with his family, his love life, or the act he is supporting come off as something you want to invest your time in; and then when it comes Sarah, with the original actress who played Tammy I found their chemistry good enough to maybe take an interest, in terms of her exploring her sexuality again, however with Hardin that chemistry is gone. Making it where the shows seems like the type which should treat Maura’s kids how most children are treated on TV. They are seen, rarely heard, and when they are around it is solely to remind you that the star character is a parent. I am very much on the border of saying Don’t Watch this. However, I really am hoping this is one of those shows which can grow on you. For, if I was someone who got to decide whether a show would air or not, strictly based off this pilot, I would pass on it. For with the children being boring, and Maura being the type of character who is completely human, and doesn’t do theatrics, there is no sort of comic relief or anyone who helps truly liven the show. Which I guess is why Sarah is having an affair; Ali may have something happen with Derek, and we see Josh sleep and date one woman, and eat out another. But, let it be known, their little “Look at me!” storylines don’t compensate for how dull most of the show is.